Eunice Beatty is busy. 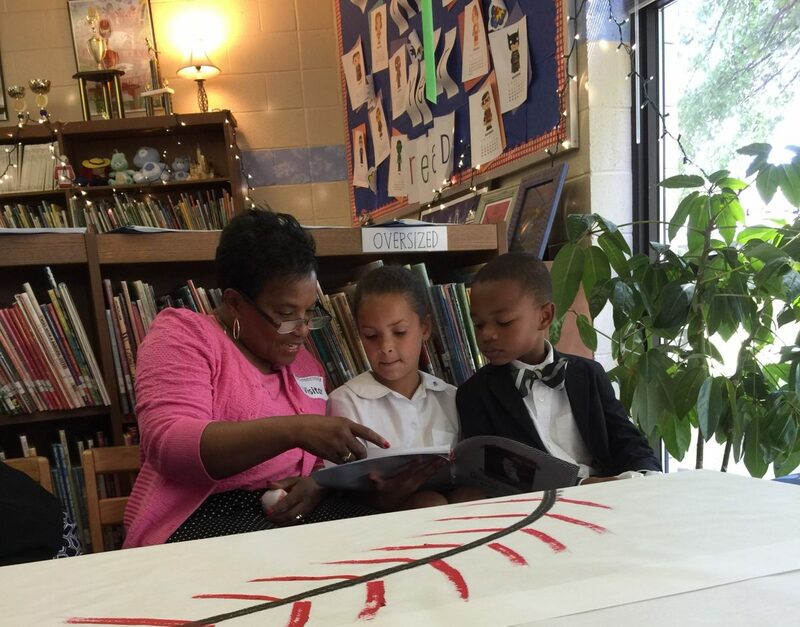 She’s been busy being a mom, grandmother, wife, educator, college administrator, counselor, accreditor, board member, community volunteer, and friend to the many who ask for her help. Have you seen her CV? She continues to be one busy lady. So why on earth would Eunice take the time to spend a year as Interim Lower School Head at The Lexington School? There are several reasons, but it started with Una. Una had a huge play in it. I was on the TLS search committee and following a national search through which Una shined the way she did over many outstanding candidates was exciting for the school. Her ask and persistence that I serve as Interim had a significant impact on my decision. Knowing that she would be leading TLS and sharing in Una’s first year as Head was pivotal in my decision. I’ve been a grandparent at TLS for 12 years and I’m a member of the Board of Trustees. The engagement of former and current parents, teachers, and students at this school is the reason that students totally love their school community. As Interim I look forward to sharing a bit of wisdom to what we already know are best educational practices and sharing a few new thoughtful ideas to illuminate the engagement of parents, teachers, and students even more. As an administrator I think we are at a perfect place to pause and look at where we are and where we want to go. I’ve been on numerous strategic planning lead teams and believe my experiences align very well with the current strategic planning efforts. I think we will see something really special with Una’s leadership, and I’m excited to be a part of this. Una is not afraid to dig deep and find answers to questions or concerns, which will allow for a dynamic strategic planning process and outcomes. I was born and raised in Lexington. I grew up in the inner-city housing projects (Bluegrass-Aspendale). I graduated from Tates Creek High School as a pioneer of public school integration. Although I never expected to go to college, I was a first-generation college student, earning from the University of Kentucky a Bachelor, Master, and Doctorate degrees. I grew up with gratitude to my parents and strong family system, my childhood neighbors and friends, my faith community, and many, many teachers who encouraged and guided me. AND did you know that Eunice is a major-league Mickey Mouse fan? “Anthany and I spend every Christmas at Disney’s Fort Wilderness Campground, fully decorated, even our golf cart! And of course, our grandkids join us! It is a magical place, no matter what is going on in your life. It removes the worries for a little while, and you get to become a kid again.” Eunice’s goal this year is to take the behind the scene Disney tour, there’s always so much more to magically learn. Has anyone told her that TLS isn’t much different? Eunice’s story is about a young girl who went to school one day and never stopped learning. She’s just the role model we want for our curious children, faculty, and parents here at The Lexington School. Welcome Eunice. Let’s get busy! Eunice begins her interim term at TLS on July 1, 2019. Congratulations and good luck to you. I love the Lexington School. I was not happy when my daughter and her husband decided to send my grandson there. I am a big believer in public education, but I have seen my grandson thrive there and he looks forward to going to school everyday. The principal ( headmaster) , faculty, office staff, etc. always makes you feel welcome at the school and they do an outstanding job of educating the students.. I know you will love this job and do an outstanding job as well. Congratulations Dr. Beatty. You are still inspiring and encouraging! You are a testament to that ever present desire to learn and share. Blessings to you! Congratulations I wish you the best. We need more people like you. Best wishes. Dr. Eunice Beatty is a person of integrity and high standards. Congratulations on your new career. Congratulations, to a beautiful and spiritual Lady hard working always looking out to improve the life of our youth. Thank you for your wisdom and your vision you share.